We believe that you deserve nothing less than a full return on your investments. When a client partners with FLEX Consulting, we focus on what is working while identifying what can be made better, now and tomorrow. Together we can improve or redefine the meaning of value for your business. At FLEX Consulting we take pride in keeping our word and helping our clients succeed. Our mission is to help clients maintain financial viability in the present, while taking a proactive approach to achieve future goals. This requires open communication to reach an understanding of our clients' needs through research and sound analysis. FLEX Consulting is dedicated to meeting these goals with high standards of excellence and professionalism. We have been a staple of the area's business community for years, and pride ourselves on the level of esteem we have earned. Our dedication to hard work has earned the respect of the business and financial community in and around the area. We believe this to be a direct derivative of our talent and responsiveness to our client base. Whether you are a current or prospective client, rest assured that individuals and businesses who choose FLEX Consulting receive competent and timely advice. “No matter the setting or the number, there is no greater satisfaction than seeing a group of individuals work as a team and move as one. That is when the light shines brightest.” Michael learned the value of hard work while growing up on the family dairy farm. 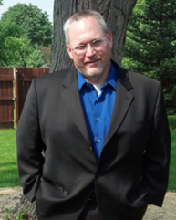 His careers in law enforcement, EMS, and Fire helped to drive his current love for Accounting. Michael is a CPA and CGMA who excels in working with B2B clients in manufacturing, health care, insurance, professional sports, retail management, and financial institutions. He leads the way in compliance, audits, governance and transactional reviews. He frequently gives lectures and presentations on the value of forensic accounting to companies, law firms, and law enforcement agencies as well as teaching managerial Accounting and Accounting Principles. Michael enjoys giving back to the community by teaching, coaching and mentoring. He enjoys volunteering for area business boards and working with non-profits, including board development, strategic planning, fundraising, and charter reviews. Shannan has always blazed her own trail, driven by a thirst for knowledge and a lust for challenging adventures. 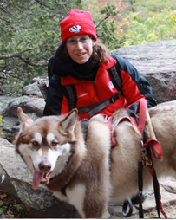 EMT, power lifter, firefighter, professional women's football champion, sword fighter, distiller and brewer, Malamute rescue founder and operator, motorcyclist, business owner – Shannan lives a life of joy, honor and purpose. Shannan is a seasoned IT professional with a proven track record in international business environments handling large ERP, CRM, RSM, SAP, Cloud, and HCB enterprise implementations. Shannan is an accomplished operations and product management professional, fluent in processes such as LEAN and Agile, with extensive experience establishing PMO governance, processes, and audit standards. Shannan gets things done.